This weekend marks the fortieth anniversary of the passing of poet W.H. Auden, who died September 29, 1973. Born in Britain in 1907, Auden moved to New York in 1939, ultimately becoming an American citizen. He lived a number of places around the city between 1939 and 1953 before settling in a tenement at 77 St. Mark's Place, where he would live until a year before his death. Or a very large snake in his room. 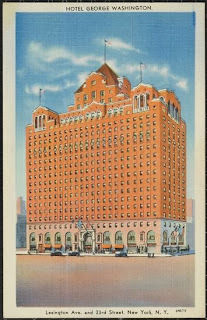 Auden moved to 237 East 81st Street, a nondescript tenement apartment; he had come to America with his friend Christopher Isherwood who joined him on East 81st Street, but Isherwood evidently thought the place haunted. 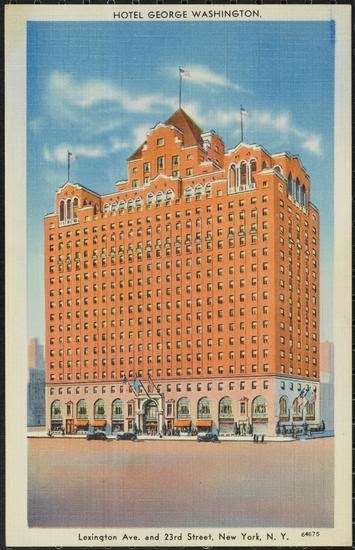 In general, Isherwood was overwhelmed by New York City, and by the end of 1939, he'd decamped to California, never to return. Auden, meanwhile, relocated to Brooklyn Heights, where he lived at 1 Montague Terrace 1939-40; a plaque on the side of the building at that address trades off the Auden connection, but the apartment complex that stands there now is not the building where Auden lived. Leaving Montague Terrace, Auden moved into the famed "February House" at 7 Middagh Street, which he shared with an eclectic group of artists: Carson McCullers, Jane and Paul Bowles, Benjamin Britten, and Gypsy Rose Lee. 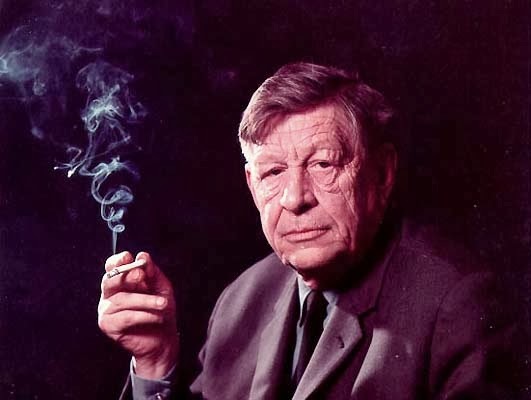 Over the next decade, Auden moved around a great deal; he taught at the University of Michigan and Swarthmore College. He was drafted but turned down for service in World War II. Eventually, he ended up at 77 St. Mark's Place (which, many years earlier, had housed the Russian newspaper Novy Mir, which counted among its staff writers exiled Russian revolutionary Leon Trotsky). Auden purchased a summer house in Austria, but spent his winters in New York, drinking at the Holiday Cocktail Lounge ("You could never say when he was drunk, because he was drinking all the time") and writing poetry. Hannah Arendt later wrote that Auden's "slum apartment was so cold that the toilet no longer functioned and he had to use the toilet in the liquor store at the corner." Auden was a parishioner at St. Mark's-in-the-Bowery nearby on Tenth Street, but he's not buried in their magnificent churchyard. He died in Vienna and is buried in Austria near his summer home. 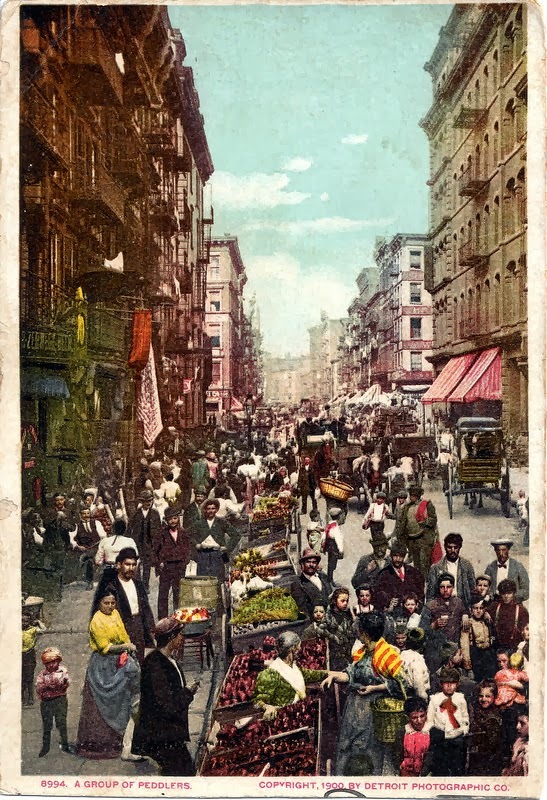 To celebrate Columbus Day, you're invited to a special immigration tour on Sunday, October 13, at 4pm, "From Farmland to Five Points," a look at the multiple, overlapping immigrants who've called the Lower East Side home. 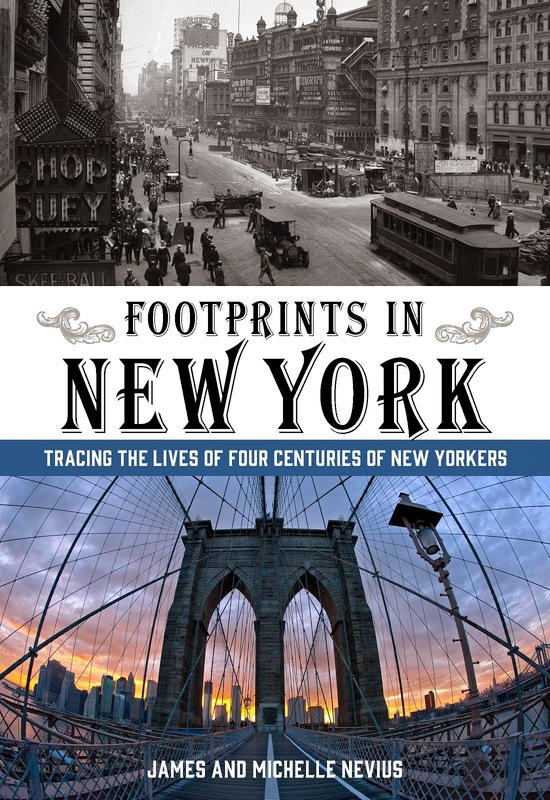 Our new book, Footprints in New York: Tracing the Lives of Four Centuries of New Yorkers (due out in the spring), focuses on this area of the city from multiple different perspectives. On our walk, we'll look at how people as different as Peter Stuyvesant, Alexander Hamilton, Calvert Vaux, Jacob Riis, Lillian Wald, and Martin Scorsese -- all subjects of the new book -- saw the area in their own time periods. The walk will be about two hours. If you reserve from now until Tuesday, October 8, the cost is just $15 per person. Reservations taken on or after Wednesday, October 9, will be $20 per person. Come experience this neighborhood through new eyes. Copies of our current book, Inside the Apple, will be available for sale and signing. * A cell number where we can contact you in case of emergency. PLEASE NOTE THAT OUR PREVIOUS PUBLIC TOUR sold out pretty far in advance, so if you want to join us, don't forget to sign up while there is still space! The Death of General Wolfe by Benjamin West. On September 13, 1759, Major-General James Wolfe died during the Siege of Quebec in the French and Indian War (aka the Seven Years War). Wolfe's heroic victory won the war for Britain, allowing it to seize most of Atlantic Canada, and made Wolfe both a martyr to the cause and an instant celebrity. 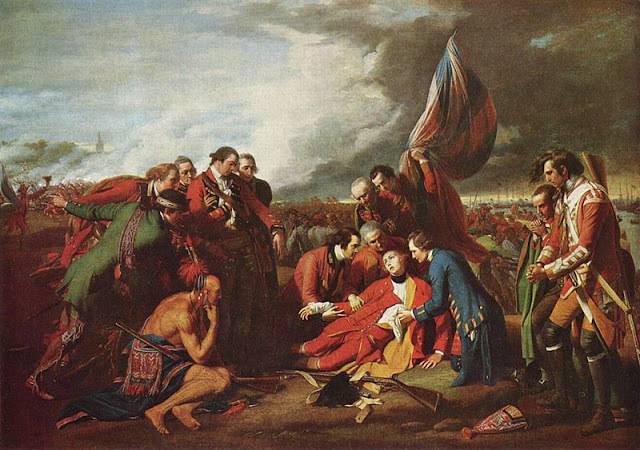 The most famous commemoration of Wolfe's death on the Plains of Abraham is Benjamin West's painting (above), now in the National Gallery of Canada. But New York had its own memorial to General Wolfe, an obelisk that was erected in Greenwich Village at the end of what came to be known as "Obelisk Lane" or "Monument Lane." The General Wolfe monument at Stowe. Very little is known about the memorial. Some think that it was based on a similar obelisk erected in Stowe in Buckinghamshire, England, by Lord Temple, which still stands today. But this is just speculation. Indeed, if it weren't for a few old memoirs and a couple of maps, we wouldn't know that the monument existed at all. 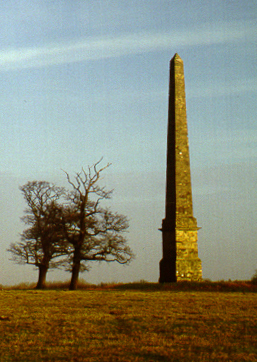 The obelisk was likely erected soon after Wolfe's death, probably in 1762 by Robert Monckton. Monckton was Wolfe's second in command at Quebec and in 1762 he became royal governor of the Province of New York. He lived in Greenwich Village, in a house owned by Admiral Peter Warren, which stood only a few minutes walk from the monument. 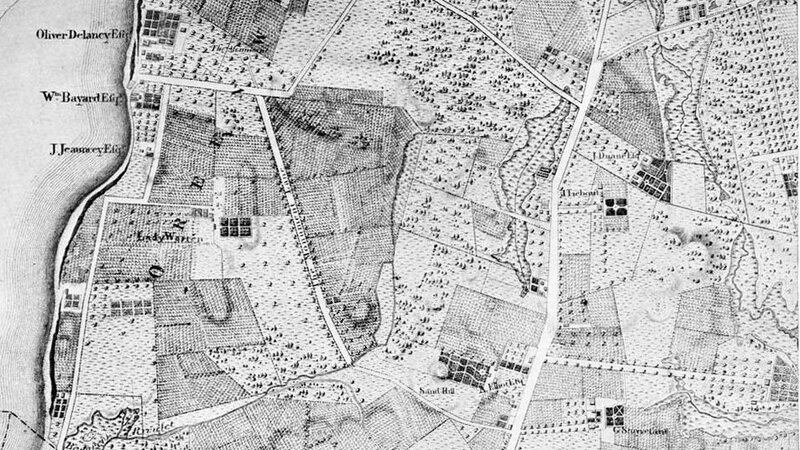 The obelisk appears on the Montressor map of 1765-66, where a "Road to the Obelisk" leads to a spot just east of Oliver De Lancey's farm marked "Obelisk Erected to the Memory of General Wolf [sic] and Others." 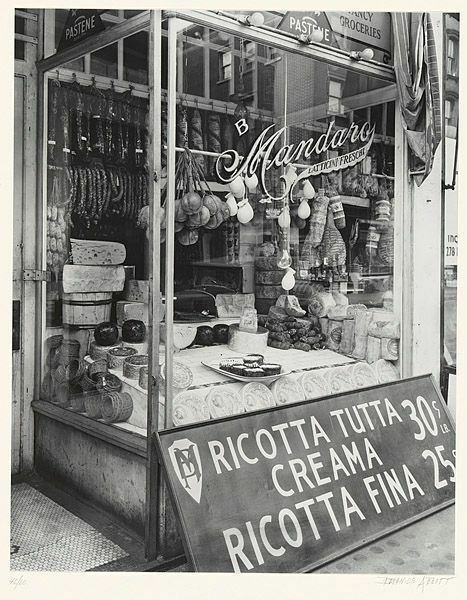 Monument Lane began at the present Fourth Avenue and Astor Place and ran westward along the present Astor Place; thence to Washington Square North about 100 feet west of Fifth Avenue, where it crossed a brook called at various times Minetta Brook, Bestevaer's Kill, etc. 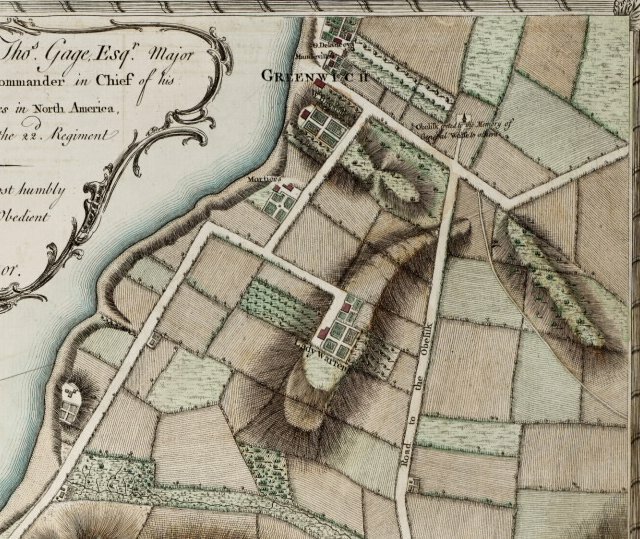 ; thence to the present Sixth Avenue and Greenwich Lane; thence along the present Greenwich Lane to Eighth Avenue between Thirteenth and Fourteenth Streets, where it intersected the now obsolete Southampton Road; thence northward about 150 or 200 feet farther, where it terminated at the Monument. Tracing those roads today, it seems likely that the road probably incorporated what today is Washington Mews and MacDougal Alley, just north of Washington Square, roads that have long been thought to be Native American trails. Indeed, it would not be at all surprising to discover that all of Monument Lane existed long before Europeans settled the area that would come to be known as Greenwich Village. No one is entirely sure when the monument to General Wolfe was taken down and by whom, but by the time the next map of Manhattan was drawn, ca. 1773, the monument is gone and references to Monument Lane disappear soon thereafter. Some speculate that Oliver De Lancey, a loyalist, destroyed the monument when his lands were confiscated by the Americans after the war, but it seems more likely that the obelisk was already long gone by that time. If you want to drink a toast to the general and his monument, you do have the opportunity. On Greenwich Avenue is the restaurant Monument Lane which serves a drink called the General James Wolfe. If you're in the neighborhood, stop by and raise a glass to Britain's fallen hero. coming out April 15, 2014 from Lyons Press.